This pair of keychain is quite a sophisticated piece with a central mirror piece in circular shape. This keychain pair is entirely weaved with blue Read More..and white threads encircling the mirror. 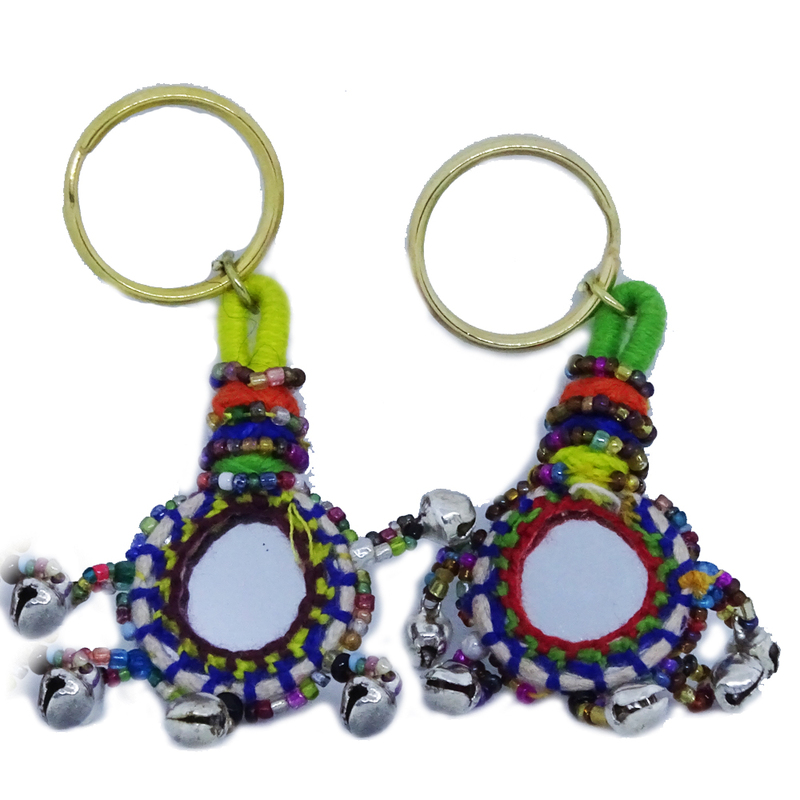 Colourful threads adorn the metal neck of the keychain holder efficiently. Show Less..